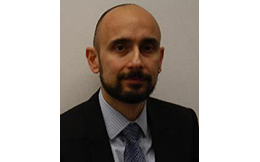 Panagiotis is bringing more than 14 years of experience on XBRL related supervisory projects, having been a member of the team which in 2004 prepared the first taxonomies for supervisory reporting in the EU (COREP & FINREP). Since 2014 he is responsible for the ECBs XBRL team and more recently is leading the creation of the ECBs Centralised Submissions Platform (CASPER). Fintech, Regtech, Xtech — what are the technologies that are driving change in financial services and how are they being best used?